Whatever the outdoor display graphic you need, we’re fairly certain we’ll be able to help you. That might sound ambitious but with 30 years’ printing experience, CSDPrint has produced most kinds of outdoor advertising. 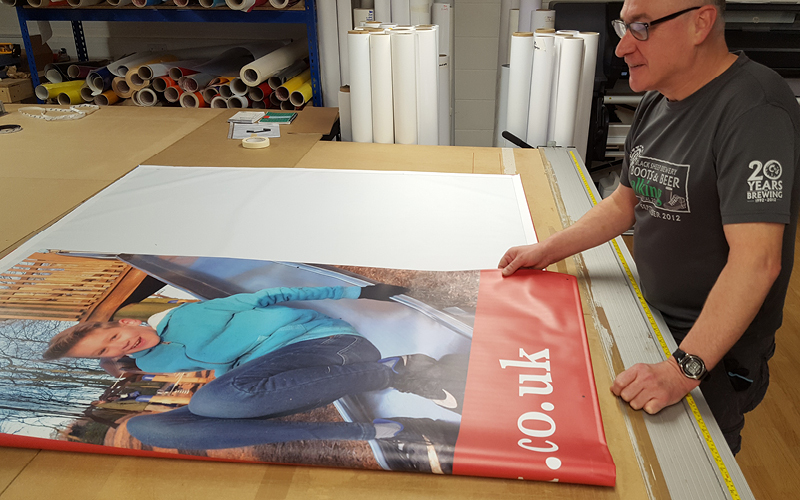 All of the graphics, banners and hoarding boards we supply are digitally printed onto top quality materials. We use the very latest printing technology and the most reliable substrates such as Foamex, high grade PVC, perforated mesh and Dibond. In addition to ensuring all of our outdoor advertising and display products are high spec, we make every effort to give our customers the very best possible service. With CSDPrint you will get a really fantastic quality product and customer service to match. If you are about to embark on an exterior display project please get in touch because we’re sure we can add value. Often we are able to suggest more effective formats, materials or fixing methods than you may have first considered. Need a few tips on how to make the most of your outdoor displays? If you have any queries or would like to discuss our outdoor display products in more detail please get in touch, and remember if you don’t see what you need here, it doesn’t mean we don’t do it. We love developing custom-designed display solutions for customers who need something a bit special.